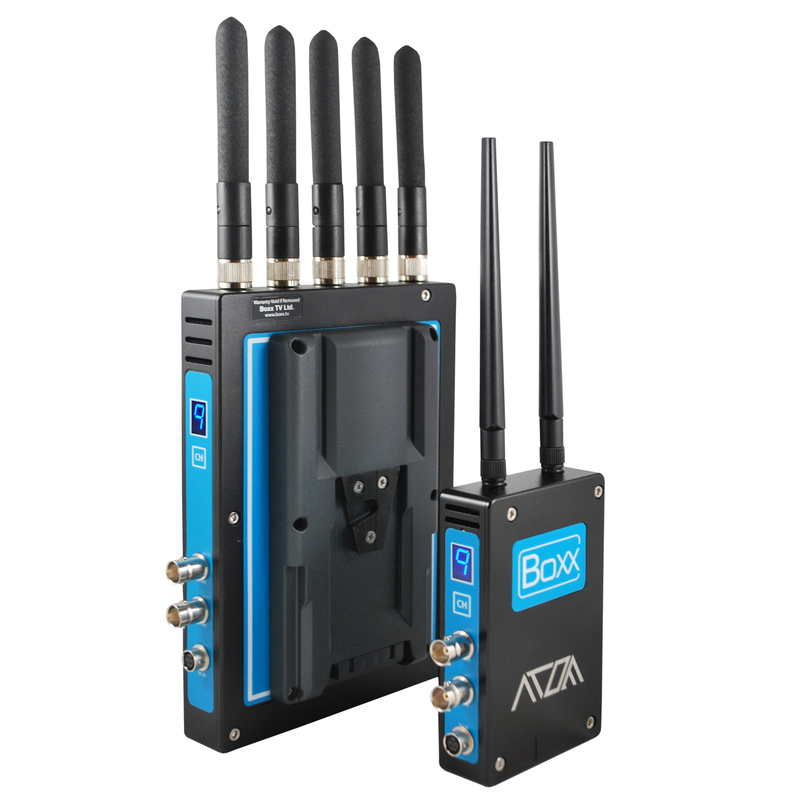 The Boxx Atom provides a zero delay microwave transmission solution for a host of Video Assist requirements in a small lightweight form factor. Operating within the 5GHz licence exempt spectrum, the features have been designed for today’s fast moving productions. The Atom system has been optimised to work out of the box with minimal configuration. Performance can be monitored and adjusted in real-time at the touch of a button without manual pairing requirements or the need to connect to a PC to set attributes prior to operation. Atom operates well in a multi-camera environment by making the most efficient use of the available spectrum.The system ensures reliable coverage thereby reducing the possibility of interference when using multiple transmitters. The compact lightweight transmitter offers SDI, HD-SDI and HDMI inputs; perfect for a variety of uses including Steadicam, portable field monitoring, and UAV video links.